Our friends from France and Taiwan had departed, but it was time for the remainder of the group to hit the Japanese whisky bars of Ginza. We began at Land Bar, the first place I’d ever been to where one can sit at the bar and lean on the back wall at the same time. Land Bar is owned by Kishi Hisashi of Star Bar, whom we had met the previous day at Karuizawa. 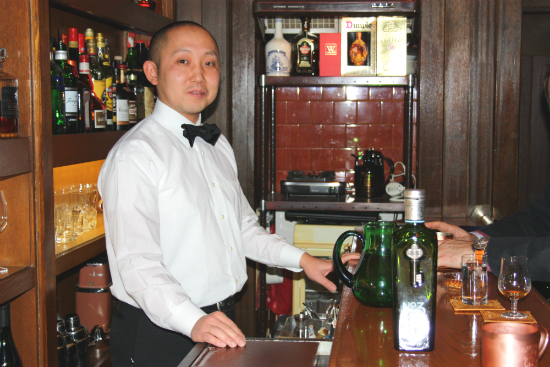 The bar is run by Kishi-san’s protégé Daisuke Ito, who served a nine year apprenticeship at Star Bar before being put in charge at Land. The bar room is maybe twenty feet long and perhaps seven feet wide. There were nine stools clustered around the wooden-topped bar. While we admired the vintage bottles of Haig, genever and old Suntory blends, and listened to bizarre bossanova cover versions of songs by Beats International and Hanson, Ito-san served up gin and tonics and his signature drink – a cocktail called a Smirnoff Skyball, which is basically a vodka and tonic with ice and a slice. It sounds like sacrilege, but somehow, when served at Land Bar in the copper mugs that Smirnoff distributed in the 1960s to promote the drink, it works – simple, yet very refreshing and disarmingly tasty. We had a lot of ground to cover, so we repaired around the corner to Kishi-san’s more famous bar. Star Bar is beautiful. It’s still rather small, though bigger than Land Bar, but it’s perfectly formed, with dark wood, generous leather seats, low lights, bagpipe music and glorious cocktails. Broom-san had to write notes for a whisky he was judging. As he did so, we sipped a fantastic heavily-peated Hakushu 1988 that had been bottled to celebrate Kishi-san’s elevation to the chairmanship of the National Bartender’s Association – I did mention in my previous post that this man is bartending royalty and I wasn’t kidding. We discovered why when we tried his Negroni. It was made with three gins: frozen Beefeater, chilled Gordon’s and room temperature Beefeater. This sounds a slightly strange, or gimmicky, way to do things. But it was incredible – the best, most flavoursome Negroni I’ve ever tasted. On this evidence, Kishi-san’s reputation as a master technician is well-deserved. We presented Kishi-san with his bottle of Karuizawa Partner’s Reserve 1984 and hurried off to visit another of his protégés, Hidetsugu Ueno, who had also accompanied us on our Karuizawa visit. I could have stayed a lot longer in Star Bar, the cocktails were truly superb, but we had an ambitious schedule and were short on time. Ueno-san worked with Kishi-san at Star Bar for years before opening his own place, Bar High Five, on the fourth floor of the Polestar Building, one of Ginza’s office blocks that have been put to better use these days. On the way up, we stopped off at Rockfish, which is a very famous whisky bar on the second floor of the same building. Rockfish is another very small bar, but I was used to them now. In fact, they make a lot of sense. With rents high and patrons picky, having a small bar means you can stay busy and it only takes a few people to create an atmosphere. 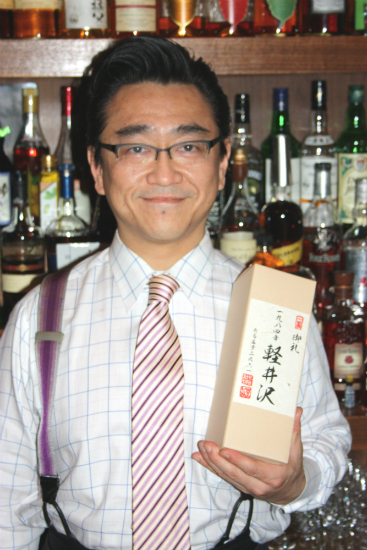 Rockfish is the spiritual home of the Highball (strictly, the HiBall), as practised by the renowned Kazunari Maguchi. The Rockfish highball consists of a healthy slug of Kakubin, Suntory’s entry-level blended whisky, a splash of chilled soda, and zesting of lemon. In a break with tradition, ice is not an ingredient in the Rockfish highball – instead all the ingredients are chilled, and so is the glass. This stops the drink from becoming dilute. It also means you should drink it quickly before it goes warm. We were happy to oblige. While we did so, we studied the array of curious paraphernalia that sprawls across Rockfish’s back bar. As well as some mostly decorative bottles of Scottish single malt (not ordering a highball at Rockfish is very bad form), there was a library of bar books and drink-related coffee table tomes, several action figures of sports stars and superheroes, assorted branded trays, jugs and ceramic doo-dahs and a bewildering variety of tinned meat and fish, including a box of 2005 vintage sardines and cans of haggis, armadillo meat and whale curry. Rockfish was getting pretty crowded, so we headed upstairs to the more serene Bar High Five, home of Hidetsugu Ueno. 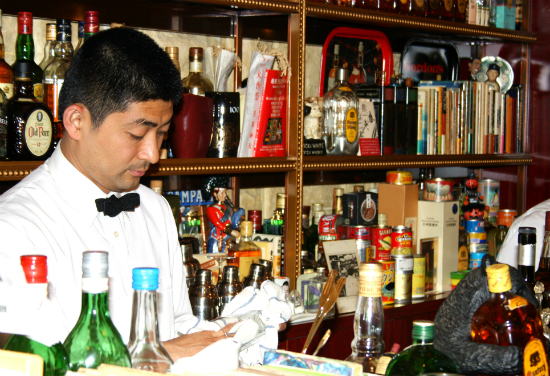 This man, as mentioned before, is a bona fide legend of Japanese bartending, and not just because he has one of the coolest quiffs I’ve ever seen. Like his mentor Kishi-san, Ueno-san is a master technician, a virtuoso ice carver and an aficionado of unusual bar equipment and techniques. 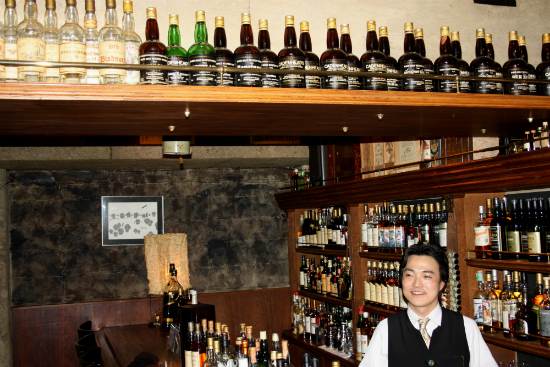 He also has a serious amount of ridiculously rare Japanese whiskies. 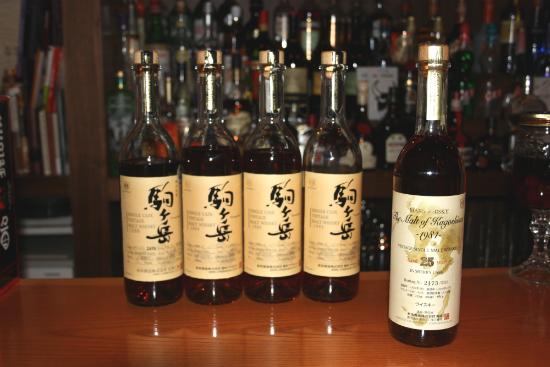 Our mouths fell open at the selection of Mars Maltage and Komagatake vintage bottlings. I’d only ever seen one bottle of Mars whisky in the flesh before. High Five has a long line of them sitting proudly on the back bar. For the uninitiated, Mars is the whisky brand of a drinks company called Hombo Shuzo, a shochu distilling company who have a history of sporadic whisky production across a variety of sites in Japan. Hombo’s whiskymaking activities are complicated, but I’ll try and summarise them as briefly as I can. 1960-69 – Hombo Yamanashi: The company had previously blended and marketed whisky bought in from other manufacturers, but decided to move into making their own whisky. A chemist called Kiichiro Iwai designed the stills for Yamanashi, supposedly to the specifications of Masataka Taketsuru, who had been Iwai’s colleague at Settsu before being sent on his famous mission to Scotland, and who had submitted his report on Scottish distillation practices to Iwai on his return. The site was only operated for a few years before being closed in 1969 as a result of poor sales. After the distillery was closed Yamanashi was converted into a winery. 1978-84 – Hombo Kagoshima: Following a resurgence in demand in the 1970s, Hombo decided to give whisky-making another go. This time the distillery site was on Kyushu, the large Japanese island to the south of the main island Honshu. Kyushu is the home island of the Hombo company and is a traditional shochu heartland. The location on Kyushu made Kagoshima comfortably the most southerly Japanese whisky distillery. Like Karuizawa, the Kagoshima distillery is situated in the foothills of an active volcano, Mt. Sakurajima. The distillery at Kagoshima was only ever intended to be a temporary site for whisky distillation, and returned to shochu production in 1984 shortly before the opening of the company’s permanent Shinshu facility. 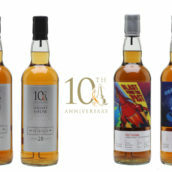 A handful of releases of the single malt whisky from Kagoshima have been sold as Mars Maltage Satsuma or The Malt of Kagoshima. According to Nonjatta, the last stocks of Kagoshima malt were used in the Mars Maltage ‘3+25’ blended malt that also included very old whisky from Yamanashi. 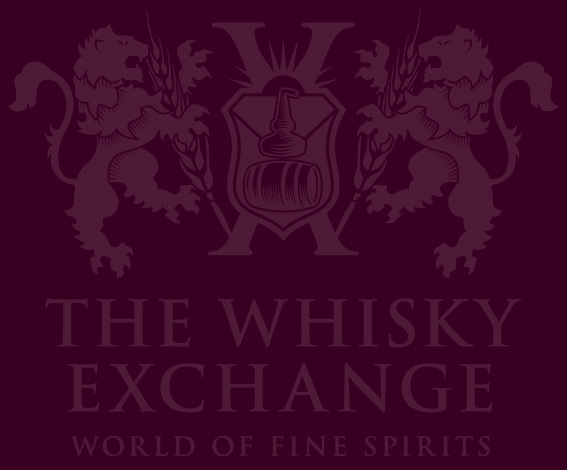 This whisky was deservedly named World’s Best Blended Malt at the World Whisky Awards 2013. All of the whisky from both of these sites is now believed to be finished. 1985-92 & 2011- present – Hombo Shinshu: Opened in 1985 after the closure of Kagoshima, Shinshu is in the Nagano prefecture not far from Hakushu. As well as whisky, Shinshu also makes other spirits, particularly shochu. Once again, poor sales led to the closure of the whisky-making facilities at Shinshu in 1992. 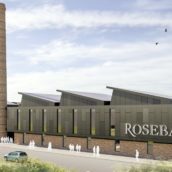 However, in 2010 the site was refurbished and whisky production began again in early 2011. Shinshu’s malt whisky is sold as Mars Maltage Komagatake, named after the local mountain. The stills at Shinshu are the same Taketsuru-inspired ones that were originally used at the Yamanashi site. Back in Bar High Five, we tried a sherry cask Mars Komagatake, distilled in 1986 at Shinshu and bottled in 2006 at the impressively high strength of 60.5%. This had a classic clean sherry profile, all raisins and fruitcake on the nose and palate, but what I really enjoyed about it was that it managed the difficult trick of having big, rich flavours on a mediumweight palate (despite the strength). We said our farewells to Ueno-san and the party broke up, with the sensible members returning to the hotel and Sukhinder and myself heading off in a taxi to one of Tokyo’s most famous whisky bars. The Mash Tun is located in a suburb of Tokyo called Shinagawa. After the full-on neon craziness of Ginza, this simple, low-lit oasis of calm on the second floor of a nondescript building seemed like a true haven. A Scottish flag was draped over one window. The walls were bare concrete, the wooden bar small and intimate. At the Mash Tun, the whisky is all that matters. We were there to see Mash Tun’s owner Toru Suzuki and the famous collector and whisky gourmet Hideo Yamaoka, both of whom are long-standing friends of Sukhinder’s. Arriving some time after midnight, we soon settled into the relaxed vibe of the place, as Suzuki-san poured us a series of beautiful drams. We were also joined by Makoto Soga, another big single malt fan who visited TWE way back in the early days when were based in Hanwell. The creosoted wooden racks of dead soldiers above the bar in the Mash Tun are a testament to the good taste of Suzuki-san and his customers: empty bottles of legendary drams such as Ord 1962 ‘Bouquet’ Samaroli, Port Ellen 21yo Maltings, Rare Malts Brora 22yo, Laphroaig 1974 and Ardbeg 1974 Sherrywood Samaroli to name just a few. After our exertions in Ginza, we kicked back with a pint of the deliciously rich, hoppy Shiga Kogen IPA and started some serious dramming. First up was the Yamazaki Mizunara Cask bottled in 2011. I have written ‘24yo’ beside this but have been unable to find any evidence whatsoever to corroborate that. Mizunara is the notoriously leaky and difficult to cooper Japanese oak that is nevertheless highly prized in the industry and amongst whisky fans for the amazing aromatics it imparts to the spirit. The nose was lovely: honey, wood glue and coconut; the palate was excellent as well, very fruity with dried apricot, raisin bread and tinned peach notes. All of this with the perfect soft, silky texture you get with great Japanese whisky. Delicious. We moved swiftly on to a Tomatin 1976 35 year old from the not-lacking-in-confidence ‘Impressive Cask’ series of independent bottlings which I’ve subsequently discovered is actually one of David Croll’s ventures via his Whisk-E Ltd business in Japan. 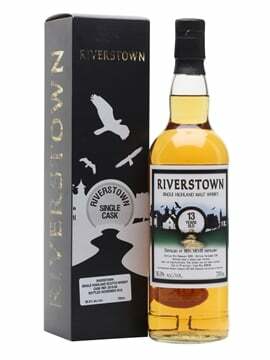 I hate to say it, but this really was impressive whisky – a lovely nose akin to hot buttered toasted fruit loaf; a fantastic tropical fruity palate on polished oak, and a superb juicy grapiness on the finish. Next Suzuki-san introduced us to an excellent Springbank that had been bottled as a one-off by the distillery as a special gift for the Mash Tun’s 7th anniversary. This didn’t have an age statement but I’ve written ‘20/21yo’ on my notes. It was terrific, with a salty, seaweedy character, a great mouthfeel and a big thread of smoke. We contrasted this with another Springbank, an older bottle of younger whisky: 12yo ‘green thistle’ label bottled at 46% probably sometime in the mid-1990s. This is quite a famous bottling with a very dark colour and is reputed to be one of the ‘young’ Springbanks pimped with much older sherry casks. Sure enough, there was a very rich sherry nose and the palate was soft, sweet, heavily honeyed sherry heaven. The drams were coming thick and fast now. We plowed into two very rare distillery-only Yoichi 25 year olds. Cask 209247 was 61% and had a gorgeous nose: seriously smoky, with roasted malt, turf and soot alongside some sweet notes that reminded me of rosehip syrup. The palate was out of this world with iodine and bandages and some wonderful orangey kumquat notes. Cask 308799 was at an even bigger 62%. The nose was sweeter, with spongecake, shortbread icing sugar and, again, tropical fruitiness. 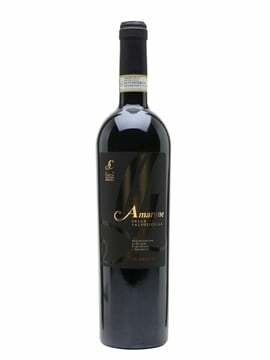 The palate was absolutely huge with big gluey blueberry and plum notes. Both of these single casks were utterly brilliant whiskies. At this point we were deep into a discussion of how much we all loved tropical fruit notes in whisky when Makoto Soga produced a sensational dram – a Coleburn 1967 (Soga-san’s birth year) bottled by Douglas Laing in 2002 for their Platinum Collection. This was one of the fruitiest whiskies I’d ever had, with an astounding nose of all kinds of melon and a tropical fruit explosion on the palate – peach, kiwi fruit, pineapple, lychee… everything a whisky fan could hope for. Many thanks to Soga-san for this marvellous dram. The tropical fruit theme continued. 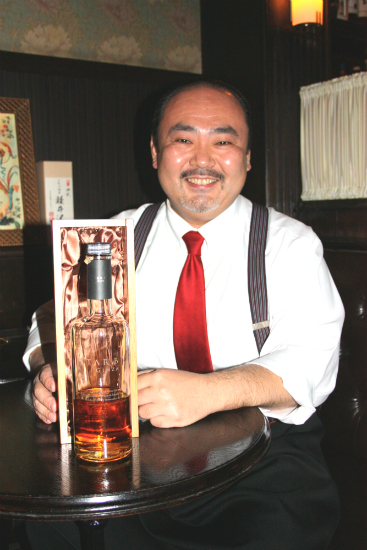 Suzuki-san pulled out a Japan-only Douglas Laing Bowmore 1990 20 year old ‘Special Cask Strength’ at 52%. The nose was very clean and a little unexpressive but the palate was glorious with some roasted malt and fruit followed by coal and soot. Amazingly silky-soft on the palate, it was another wonderful whisky. We moved straight on to another Douglas Laing Japan-only bottling, this time a Laphroaig 1993 bottled as a 16 year old for the 10th anniversary of the Old Malt Cask series. Again, this refill hogshead was at its natural strength of 52.3%. It was fabulous: waves of delicate melon and passionfruit, then a peaty period on the palate before a gorgeous finish of peach, melon, kumquat and grapefruit. Our last dram at the Mash Tun was a first fill sherry cask Longmorn 1969 bottled in 2009 by Gordon & Macphail for Japan Import Systems at 59.3%. 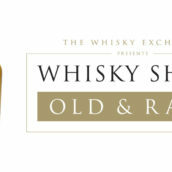 It was the perfect Longmorn sherry cask character with a thread of chocolate and, once more, a ton of tropical fruit – I found mango, peach, pink grapefruit and candied lemon peel all wrapped up in a gorgeous leathery sherry oak character. It was getting late. Sukhinder, Hideo and I said our farewells to Soga-san and Suzuki-san and headed off in search of a taxi. Silly me thought we were going back to the hotel. That was not the case. While we waited for a cab, Sukhinder and Hideo decided it was a good idea to go to another bar and soon afterwards we found ourselves in the curiously-named Wodka Tonic. I say curiously-named because this place is a palace of whisky. Just looking at the empty bottles on the shelves around the ceiling would make you weep in wonder. It was a forest of empty Cadenhead’s dumpy black labels, Springbanks, Samarolis and Sestantes. Just as in the Mash Tun, the gantry in Wodka Tonic is a thing of beauty. The shelves were stuffed with ancient Ardbeg, Port Ellen, Laphroaig and Macallan. They had pretty much the full set of Diageo Manager’s Drams. They had a full set of Moon Import’s famous ‘The Costumes’ series, all open. We selected one of the latter, a Glenkinchie 1966 bottled in 1988. It was a venerable whisky, all old oak, apple and peach fruit. The palate was on the very edge of going over into too woody, but had been caught in the nick of time. 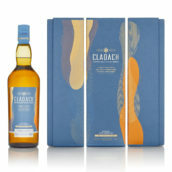 Another beautiful whisky, delicate in the mouth yet full-flavoured nonetheless. The climax of our visit to Wodka Tonic, though, was the next dram. 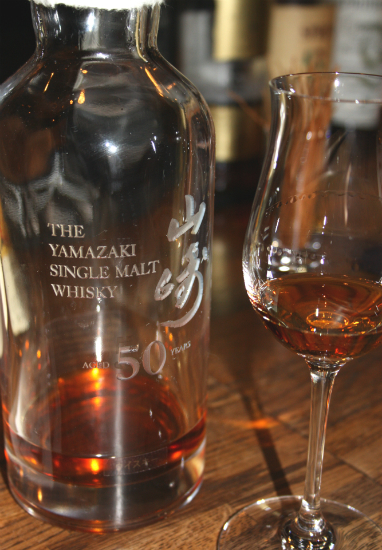 Sukhinder had spotted it sitting on the bar as soon as we walked in and couldn’t resist the opportunity to try it: the 2011 release of Yamazaki 50 year old, only 150 bottles of which were ever released. This magnificent bottle, with its Yamazaki kanji sandblasted into the crystal, was assembled using only the greatest malts in Yamazaki’s cellars, some of which had been matured in casks made with mizunara wood. It was now 2.20am, but I did my best to make notes nonetheless. The nose was very rich and opulent, showing digestive biscuits, woodglue, vanilla custard and the amazing creamy coconut aromas that are mizunara’s trademark. On the palate there was an enormous wave of wood glue, rosehip syrup, freshly polished varnished old church pews, then massive spice & pepper with a wisp of dried leaves. The mouthfeel was suitably succulent for a whisky that retails around the £10k mark, while the finish was beautifully soft and spicy, with the rosehip syrup appearing again at the death. After such a marvellous dram the only sensible option was a peaty classic. We changed pace with one of the legendary Ardbeg 1976 sherry cask OBs. This was Cask #2396, which was bottled for Italian importer V.E.L.I.E.R. in 2002. Amazingly, this whisky was distilled on the day Mrs. Blog came into the world, so of course it was fantastic. The nose had subtle phenolics, wet peat and camphor, but also sweet fruit, fresh leaves, caramac and caramel squares aka millionaire’s shortbread. The palate was equally glorious, with wet turf and very sweet orangey fruit. The finish was very long, with the wet earth and sweet fruit joined by bandagey notes, toffee and a faint nuttiness. 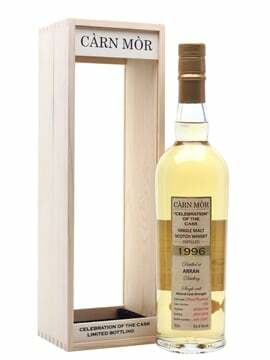 Next up was a 19 year old Caol Ila 1992 from The Whisky Agency’s famous ‘moody lions’ series, bottled from an ex-bourbon barrel in 2011. The nose was sensational, very uncharacteristically fruity, with soft smoke in the background. The palate was gorgeous, with a thread of coal and a big burst of orangey fruit. This was one of the fruitiest Caol Ilas I’d ever tried, fitting perfectly with what had become the unofficial theme of the evening. As we were about to leave I realised that the clocks had ticked over into St. Patrick’s Day during the evening while we were out. Sukhinder very kindly insisted on buying me a dram from a 1970s Powers Gold Label that was sitting on the gantry, and the barmen very kindly refused to take any money for it. Though not quite in the league of the Yamazaki 50yo, the rough and ready pure pot still spice and chunky, edgy grain in the blend had mellowed with time and air in the bottle, and with our spirits high after a very long night of truly mind-blowing whiskies we went on our merry way. 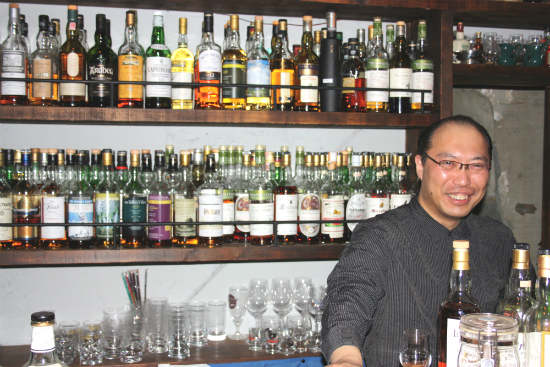 It was clear to me now that Japanese whisky bars are the greatest whisky bars on earth. London, you’ve got some serious catching up to do.